Legend has it that in 1885, two brothers from Akron created a delicious sandwich - the hamburger. This year is the 10th anniversary of the National Hamburger Festival in awesome, Akron, Ohio. The 10th Annual National Hamburger Festival presented by the City of Akron at Lock 3 Park, is this weekend, August 8-9. Admission is only $5 and children under 8 are free. The Festival supports Akron Children's Hospital. The event features 50 styles of hamburgers from over 20 eateries throughout Northeast Ohio. 50 styles of hamburgers. FIFTY. 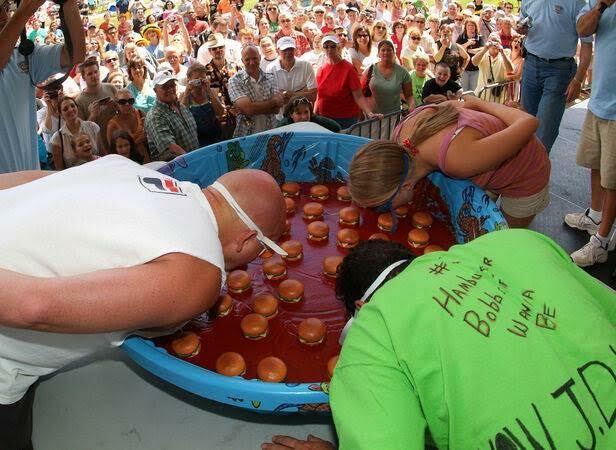 There is fun for all, including "Bobbing for Burgers" and the Ohio Amateur Hamburger Eating Contest (including a team from The Akron Fire Department!). 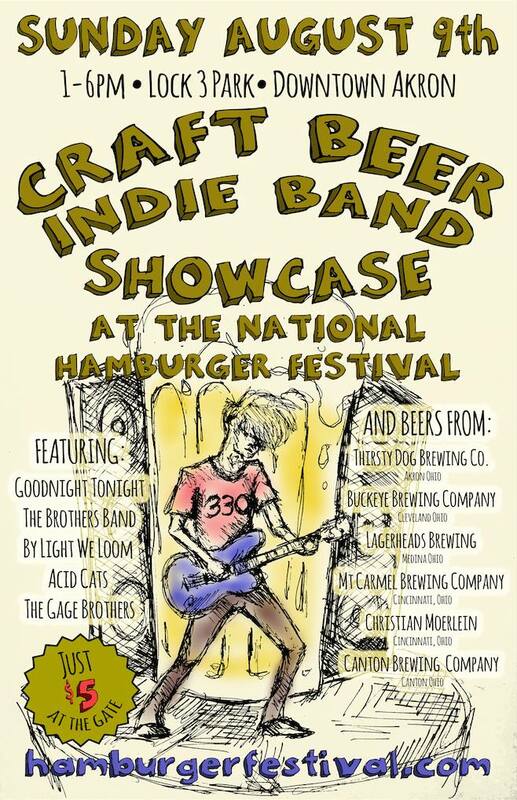 For the grown ups, an Ohio Craft Beer Tasting and Indie Band Showcase is included on Sunday. Now for the fun part. The awesome folks at the Festival have given me a pack of four tickets to giveaway to one of you luck readers. 1. Follow National Hamburger Festival and ClevelandChick on the twitter. 2. Visit the National Hamburger Festival on the Facebook. 3. Leave a comment and tell me what your favorite burger toppings are. 4. Go to the Twitter and tweet : "I want @HamburgerFest tickets from @ClevelandChick! http://bit.ly/1M1OMDt #BurgerFest15 "
You can tweet once a day, and leave me a comment here for each of the tasks you complete. I let a computer pick the winner, so if you don't comment, it won't be included. The winner will be selected on Wednesday, August 5, at noon, so get tweeting! 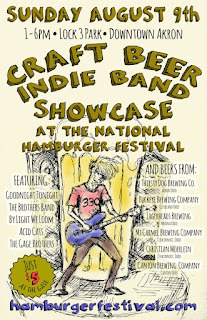 *Disclosure: The awesome National Hamburger Festival peeps have given me a complimentary pack of tickets for my use as well as a 4 pack to give away. The words here are all mine, and I'm hoping very few of the burgers will have onions on them. I hate onions. Put an egg on it! One of my favorite toppings. jalepeno, BBQ sauce, onion rings & bleu cheese for my spicy days, ketchup, mayo mustard, lettuce, and tomato for my non-spicy days! I visited the National Hamburger Festival on the Facebook. No more entries...thank you all! The winner is Bite Buff! We attended an event here this past Sunday & had an awesome experience from beginning to end. They served great food and the salad I had for dinner was delicious. The service at New York city party also was impeccable.